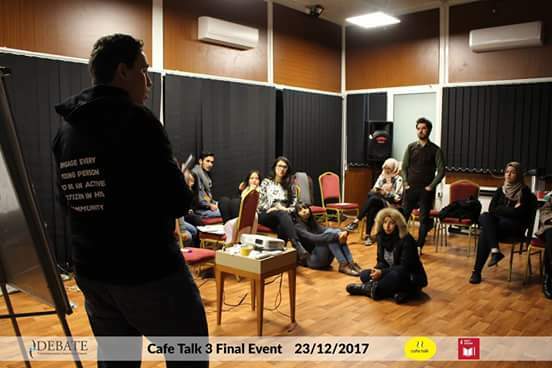 Five 3-member teams from Bizert, Tozeur, Sousse, Zaghouan, and Mannouba got together for two days – 22nd and 23rd of December – to finalize the café talk competition that had violence in educational institutions as a major theme and that lasted for 4 months. 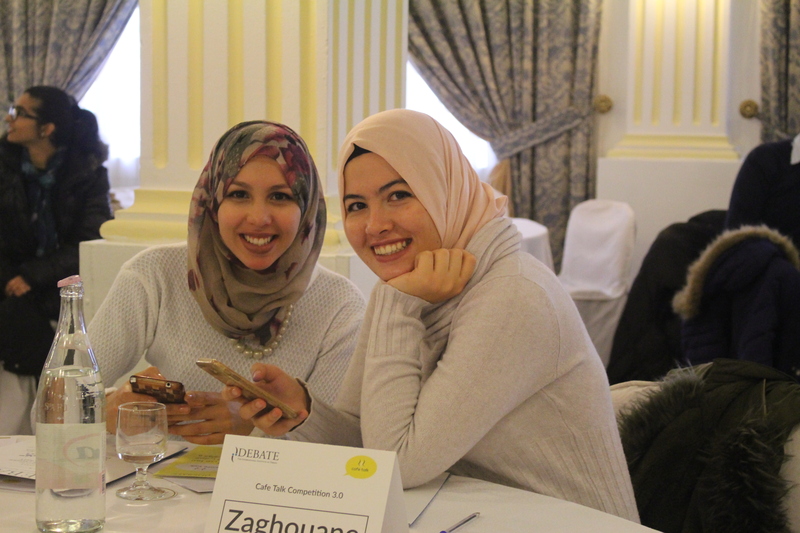 The first day was a series of workshops and debates in Karmel Hotel and the second day was the closing ceremony in Majestic Hotel. After all the participants gathered together, the workshops started at 2PM. 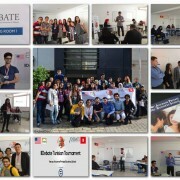 They took place in a small cozy room where different themes under the theme of education were discussed. 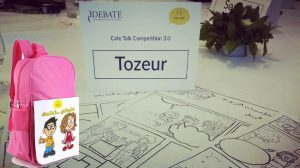 There were debates about the gender equality in terms of attire in schools, the psychological and sanitary issues of pupils, the funding of NGOs in schools, etc … Through these debates, the participants were asked to find problems that surround the discussed issues and try to come up with solutions using the information they gathered from the café talks during the 4 months of the program. The Youth Convention was also part of the workshop which is a final holistic report of the competition. A lot of stories that the participants shared with each other about the marginalized schools in rural areas were touching and eye-opening. Long distances, deadly roads, unsafe infrastructure, limited human resources, no funding, lack of motivation and more were the repeated words throughout these stories. 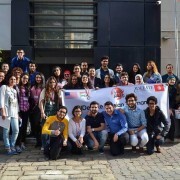 The participants talked about these stories with a lot of passion and they shared how the four months of the Program managed to make them more aware of the Sustainable Development Goal 4 which is QUALITY EDUCATION. 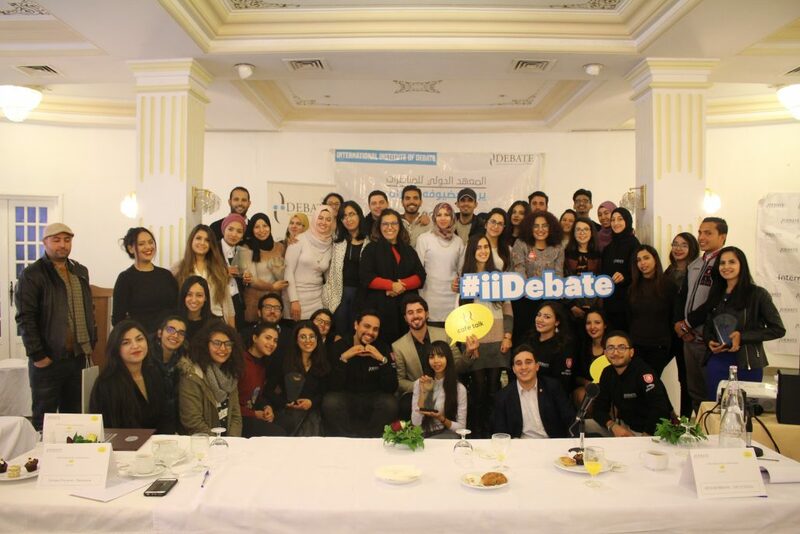 In Majestic Hotel, the five teams gathered together with the presence of a panel of four judges: Aida Robbana – a UN Representative, Refka Nsiri – a US embassy representative, Sondes Zouaghi – A professor in the University of Paris, and Elyes Guermazi – the executive director of International Institute of Debate. 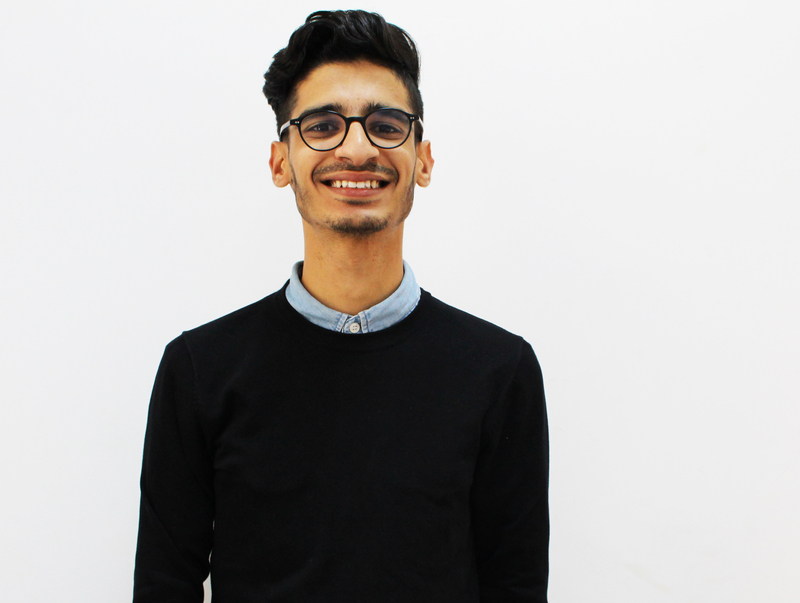 The teams pitched their project ideas in an attempt at winning 1,000$ to help them initiate the project. They had 5 minutes each to present the final concept of the final project with a 10-minute period for questions by the judges. 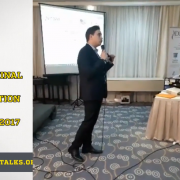 The tension was governing the room as the participants were defending their projects and explaining how beneficial and relevant it is to the main theme of the competition, but only one project was going to win. 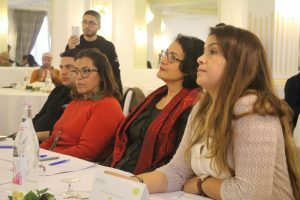 The projects manifested a high degree of innovation, of devotion and of a strong desire to make a change in the education sector of Tunisia. From café talks junior to creating apps that promote scholarships for students to creating an app that allows students to express dissatisfaction and concerns, the projects were interesting and captivating, but it was Tozeur’s proposal that got the attention of the judges and that got a chance to start their story. is the name of the project that won the competition. It is going to be destined to around twenty 4 to 5 year-old children in the region of Rmitha which is deemed as one of the most marginalized areas in Tozeur. 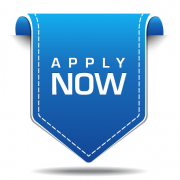 The project consists of three main steps. 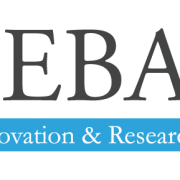 First, there will be a campaign to promote the project in which posters, pins, stickers, online marketing and more will be done to draw the attention of the people to the project. There will even be backpacks and comic books designed for the pupils. The second step is recruiting some of the participants from the café talks done throughout the four months of the program to go through a training program of soft skills, public speaking skills, and session moderating skills in order for them to be ready to moderate weekly session to the pupils. 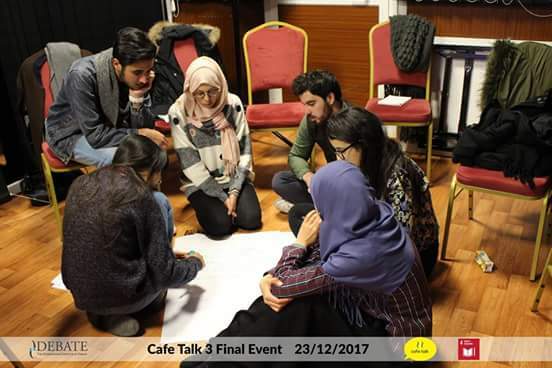 The third step is starting the project with having a teacher (an unemployed graduate from the region) who will have gone through a training himself that will deliver two sessions a week to the children along with the weekly sessions delivered by the café talk participants. The class is going to involve creativity and innovation and the prospect of sustaining the project is very plausible since the winning team showed that they have full support from local governmental institutions and NGOs along the support of International Institute of Debate and the US Embassy. 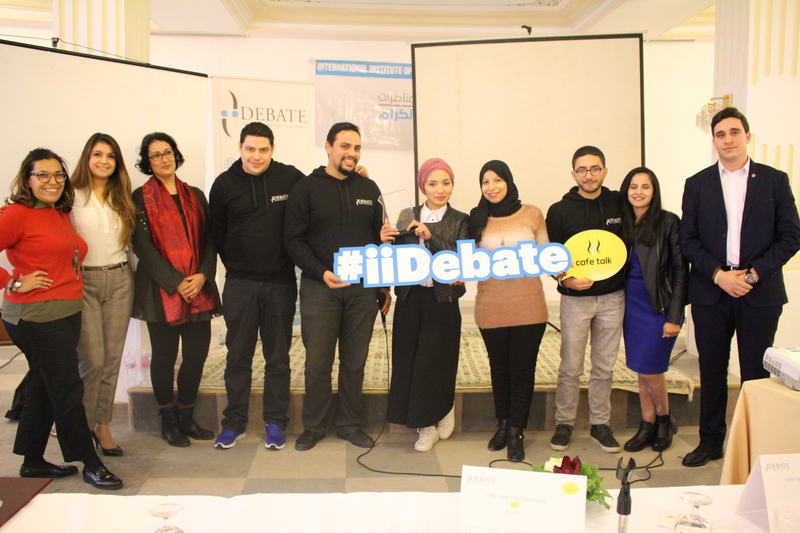 The competition was described as stressful and energy consuming by the participants but they also accounted for how it made them more solution-oriented, and more aware of the situation of education in Tunisia. 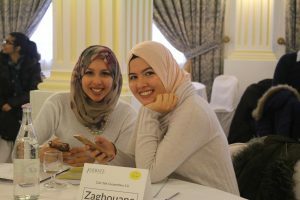 Also, the participants shared with each other how grateful they are for the friends they made throughout this program. Whether it’s the participants or the people that assisted the café talks, each one of them got the chance to discuss openly critical topics and to express their opinions. At the end of the event, participants got their certificates and with that the competition ended, but it was in fact the beginning, not just for Tozeur and Zaghouan, but for the other participants as well.